When I look for a backpack, I look for value, and potentially all-purpose. I also look for high build quality, so I know my hard earned cash will be going towards something that will last a long time. So a lifetime warranty is very important to me. The High Sierra Titan 65 is a very high quality product that satisfies all of my requirements of features that I look for in a product. • Removable, adjustable dual aluminum stays. • S-shaped ERGO-FIT shoulder strap harness with load-lifters. • Front-load sleeping bag compartment with divider. • High-density foam padded back panel, with large AIRFLOW™ channels. • Hinged front pocket, with mesh side gussets. • Padded grab handles on both sides. Removable media pocket. • Internal hydration reservoir sleeve and dual exit ports for tube (reservoir not included). • Adjustable side and bottom compression straps. • Dual mesh pockets hold water bottles. Dimensions: 14.25" x 8.75" x 32.00"
· 840 Denier Nylon - Nylon is a high strength, durable material with excellent wear properties. The term " denier" (D) refers to the size of the yarn used: the larger the denier the bigger the yarn. · Nylon Mini-Diamond Ripstop - Exclusive Nylon Mini-Diamond Ripstop combined with our Mini-Weave Duralite provides superior durability through special ripstop technology.This lightweight fabric provides better stain- and water-resistance. · Duralite Nylon - 200 x 200-denier Duralite Nylon fabric features a special water resistant coating to help keep gear dry. · Hydration Port - Internal hydration reservoir sleeve and exit port. The Titan 65 came shipped in a standard brown box. I liked the blue color- it will be hard to not find it while I am out camping or backpacking. Pulling the bag out of the box, what first hit me was the build quality. The bag was made of heavy duty material, and was well stitched. And areas that needed the extra support, such as the shoulder straps, were double stitched. I really liked the thick padding on the shoulder straps and beefy waist strap. The Titan looked like it could easily stand up to the abuse of being an outdoors bag. It came with a small booklet attached to the bag that went over all the features of the bag. The booklet also went over the Air Flow System, and how to properly fit the Titan to you. The more I looked at the bag, the more impressed I was. This bag can hold a lot! But that does not mean it can only be used on long excursions. It also has cinch straps, so if you are only going for an overnight or weekend trip, it can be tightened down in size. I tend to like the philosophy of the more pockets the better. While the Titan does not have a ton of pockets, it does have a sufficient amount. The main bag has two compartments. The very bottom is a separate sleeping bag compartment, which is divided from the rest of the bag, and has an external zip to access it from the outside. The main compartment is above it. But the internal divider can be opened, so if you want to, you could open it to have just one large compartment. There are also two additional pockets on the main bag. The first is attached to the main body on the center, and the second is at the top of the bag and acts as a cover over the opening at the top of the bag. The Titan also managed to include a couple other small, yet useful, pockets. There was a small pocket on each side of the waist strap, and also one that is called a detachable media pocket on the left shoulder strap. The media pocket was not very big and would not fit most smartphones, as that would be the initial impression of where to put your phone. It would however fit older cell phones, and many other devices potentially, such as MP3 players, or small handheld GPS devices. On the other hand, the waist straps are quite wide. So the built-in pockets on each side of them are a bit wider. So your cell phone could go into one of them. They would also be handy for storing a small snack. Each side of the bag also has an elastic compartment that is the perfect size for holding a 32 oz bottle. High Sierra seems to have thought of everything, as the Titan is loaded with features. If you want to use it as a large luggage bag, no problem. There are handles on both sides, so the Titan can be carried sideways as a piece of luggage. There is a built-in bladder compartment with a small hole at the top on each side, so you can drink from the left or right side. This bag is designed to be used, whatever it is you are in to. Hiking to a glacier? No problem, there is a loop to hold your ice axe, as well as a second loop for your hiking stick. And just in case 65 liters is not large enough to hold all of your gear, there are a plethora of straps, loops, etc to tie even more gear to. Ever been caught in a rain storm while you were out on a hike? High Sierra thought of that too. At the bottom of the bag is a Velcro secured compartment that holds a rain fly for your bag. And just in case you packed your poncho at the bottom of the large comportment, High Sierra thought of that as well. They added a zipper on the side of the bag, so can access the bottom of the main compartment so you do not have to pull everything out to get to what you need. So far I am quite floored with everything that the High Sierra Titan 65 is. But I could not help but feel a little skeptical, at how well it would all come together when being used. Would I be able to really get it adjusted to fit me well and be comfortable for long treks? Would it really be that functional? And would it really endure the rigors and abuse and not fall apart when being used what it was designed for? It’s time to find out. The booklet was easy to follow in the instruction for how to get the Titan adjusted to fit you. I was able to get it adjusted, and it fit rather well. Hiking with it was sufficiently comfortable. I loved having the sleeping bag compartment at the bottom. Accessing and getting at things in the main compartment was simple, even for items at the bottom, thanks to the side zipper. And having the additional pockets on the outside and top of the bag made it convenient to pack items you knew you would want to have easy quick access to. Of course the pockets on the waist strap also came in really handy. One suggestion for High Sierra would be to make the detachable media pocket a bit larger, so it would be usable with more devices. Handing out abuse of hiking into camp and being thrown around camp had no noticeable impact to the Titan 65. All in all, I was very impressed with the High Sierra Titan 65. Its build quality was very good, as well as being full of features. High Sierra seemed to have thought of everything. While some manufacturers come up with features that appear gimmicky, those found on the High Sierra Titan were functional and usable. As with their Air Flow System, I was able to feel some air get back there. The High Sierra Titan has an MSRP of $280, but it can be found for much less. And with a lifetime warranty, you know they stand behind their products. For those in the market for a nice internal frame backpack, the Titan 65 should be on your short list. Based on its design, features, quality, and performance, the High Sierra Titan 65 has earned our Highly Recommended Award. For more info and complete specs, check out their website at http://www.highsierra.com/. Watching movies is a great way to relax. Having a surround sound system really brings out the action and excitement in movies. But many are not stopping there. Dedicated theater rooms are getting more and more popular, many with some accessories such as popcorn makers and soda machines. These accessories however can take up valuable space. Enter the Sodastream Source soda maker. The Sodastream Source is a very cool machine that makes soda. It is also quite small, so it does not take up much space. There are also a good amount of flavors to choose from. Whether you like regular, diet, or even energy drinks, there is a flavor for you. The Sodastream Source came shipped in an attractive printed box with pictures of the Source and its features. It was well protected with its internal packaging. Included in the box was the Sodastream, one co2 cartridge, and one liter mixing bottle. Construction of the Sodastream Source was good, using a combination of metal and plastic materials. Fit and finish was also very good. At this point, I was excited to get it put together and try it out. The instructions were easy to follow. Putting the Sodastream Source together was rather easy. All that was really needed was to screw on the CO2 cartridge in the rear compartment. Once it was screwed in, the Sodastream Source was ready to go. Also provided were several flavors, some diet. Many were naturally flavored, without the preservatives in regular soda. So it is actually healthier for you. The Sodastream Source gives you flexibility. Not only do you choose your flavors, but you also choose the amount of carbonation in your soda. Whether you like a lot of carbonation, or just minimal, it is there for you to choose. Making the soda was also very easy. First you fill the water bottle. Next you lock it into the Sodastream Source. Then you push down on the front lever until you have the amount of carbonation you want according to the display. Once you have the amount of carbonation you want, just let go of the lever, and push up on it, to release the water bottle. Now you just add the syrup and gently mix. Now enjoy! Having tried several flavors now, there has yet to be one that I did not like. Eventually you will need to refill the CO2 cartridge, but that can be done at your local Walmart. At the end of the day, the Sodastream Source is a great product. Not only can you save some hard earned cash over the cost of regular soda in the can, but there are multiple other benefits as well. The small bottles of the syrups take up a lot less space than a bunch of soda in the cans, and you will have to deal with much less recycling/trash. And the flavors all tasted great! If producing less waste and helping the environment is not your thing, then the Sodastream may not be for you. But is you want to be able to make your own soda and control the taste as well as the carbonation, the Sodastream Source is worth checking out. With an MSRP of $129.95, it is priced right. 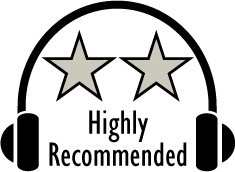 And based on it's design, features, quality, and performace, not only has it earned our Recommended Award, it also has earned a spot in our theater room! For more info, check out their website at www.sodastreamusa.com. We had a good time at CES this year seeing several new products. 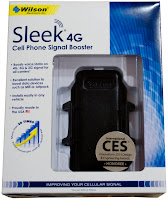 One of those was the Sleek 4G by Wilson Electronics which we will be covering in this review. The demand for good coverage continues to increase as the number of mobile devices in the world continues to grow. In some areas cell phone coverage is spectacular, while other areas suffer. I happen to live in an area that has poor coverage making it the perfect place to test the new Sleek 4G by Wilson Electronics. 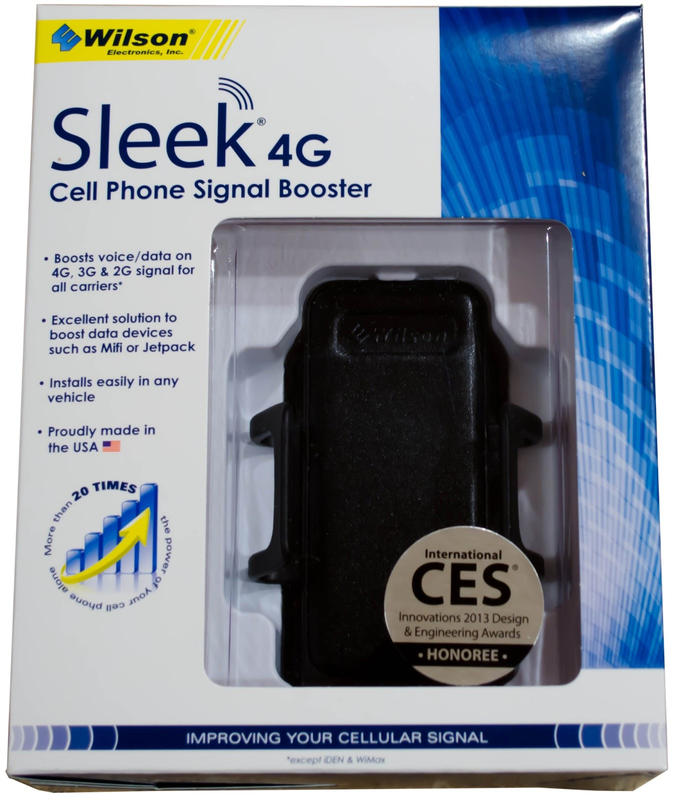 If you're skeptical about a device being able to increase your phone's signal strength without physically attaching an antenna to the phone, read on! When it comes to sleeping bags, there are a few things that I look for, such as weight and warmth. I also look for quality products, so my hard earned cash will go towards a product that will last a long time. And of course, I also like to support manufacturers that make their products in the USA. The Enlightened Equipment RevelationX 20 Degree satisfies all of those points. And with its light weight, it is a backpackers dream. Removable Under-strap System – Elastic webbing and flat buckles secure the quilt around you, your pad or easily un-clip to leave at home. One below the shoulder and a second mid back. KARO Step Baffles – KARO baffles have gaps in each corner of the box allowing you to move the down from box to box. The down can easily be moved by massaging it around within the quilt to anywhere you want it, but once there the box shape of the KARO STEP baffles keeps it where you put it. Space between baffles has been dramatically reduced for 2013 which greatly increases down control and reduces shifting. Adjustable Neck closure – A snap secures the quilt around you and the center draw cord is easily adjusted by pulling it inside the quilt. This closures can be opened when the sleeper gets warm and closed tight when needed to seal drafts. Zippered Foot Box – A 20″ zipper and draw cord allow the foot box to close tightly keeping the heat in but can easily be opened flat or anywhere in the middle to vent when needed. Snaps 6″ and 12″ above the zipper pull the quilt in tight under the thighs when needed or lets you stretch out when it isn’t. Made in Winona MN– We are proud to build quality products locally in our homes. The bag came shipped in a standard brown box. There are not many pieces to the bag. It is basically just the sleeping bag. Retail bags come with the quilt, stuff sack, and the storage bag to keep it in when not being used, as well as the straps. The bag was well made with high quality construction. The nylon fabric and stitching were all very good quality. What really stuck out to me as well was the loft, and light weight! The Enlightened Equipment makes some great sleeping bags. And so far as bags are concerned, they are considered quilts. They do not have a zipper that goes all the way up the side. The bottom of the bag zips up, and you pull the bag around you. Most people sleep on a pad, and it is the loft that provides the warmth. The pad also insulates you. So the upper part of the bag just gets pulled around you like a blanket. But on really cold nights, there are snaps and straps on the sides, so you can pull the bag snug all around you. This design and the features of the RevelationX provide the best features for cold and warm weather. Since you are not zipped in, it is easy to halfway cover in warm weather. But in cold weather, you can wrap yourself. It also had not only down fill, but the down is high rated 850 Fill Power Goose Down, and overstuffed up to 20%. This means you can have high warmth with less down, which translates into less weight. For backpackers, where you are trying to get lighter items to carry, this feature is key. The bag is listed at 24.9 oz, and actual weight of the bag received was 25.3 oz, which was pretty close. It also compresses to a very small size! The RevelationX comes with a stuff sack, storage bag, and sleeping pad straps. The mattress pad straps go under your sleeping pad to hold it over your pad, and keep from falling off. I had high expectations for their wonderful sleeping bag. I liked it’s features, loved the size and weight, and really liked the story behind the company Enlightened Equipment. I liked the way they are made in Minnesota by local families, to help keep costs down. Their website says that they use cosmetic 2nds nylon to help keep the costs down. The nylon used did not look like cosmetic 2nds to me. And being able to customize it to you, with colors and sizes, is just icing on the cake! I was very pleased with the quality of the materials used. The use of KARO baffles was also a nice feature, so you can move the down around if needed. When it came to testing the performance, I was ecstatic! Its design and quality of components and construction yielded a synergy of high performance. On their website the company comments on the 20 Degree RevelationX page, that it is a great 3 season quilt. And on the 10 Degree RevelationX page, the comment states it is a great 4 season quilt in the south. I was able to really put the RevelationX 20 Degree Wide quilt to the test. My boy scout troop did a winter campout. Living in Arizona, winters are very mild in the Phoenix area. But there are mountain areas in central and northern Arizona where you can get a good amount of snow, and cold winters. The weather was worse than I expected, snowing around seven inches that night, and was colder than expected as well. I was expecting a low temperature in the high teens, and thought the RevelationX 20 Degree Wide would be able to handle it. But in a worst case scenario, I would not be as warm as I usually like. The weather ended up being worse, giving us more snow than I expected and the temps were about 10-15 degrees cooler than I was expecting. The temperatures got down to around 5-10 degrees that night. The Enlightened Equipment RevelationX 20 Degree Wide, however, actually kept me nice and warm, even though it was 10-15 degrees colder than its rating. The saying....snug as a bug in a rug....that was me that night (minus the rug). The cinch at the top of the bag came in handy to keep out the cold, as well as the snaps and straps to keep it snug around me. I received the Wide version of the RevelationX 20 Degree, which was really nice for wrapping it around me, especially since I move around as I sleep. I was, and still am, amazed at how well the RevelationX 20 Degree Wide performed. While I was impressed with the warmth, my one concern would be durability of the thin nylon shell and liner. As with most lightweight gear, you need to be a little more careful with it. Just keep that in mind is all, as you care for the gear, and you should get years of use. I can only imagine if it was their top of the line Epiphany 0 Degree quilt. The waterproof cuben fiber is amazing! "It is simple, you will be happy. When processing returns or exchanges the customer is responsible for all shipping charges, please contact us before returning merchandise." When it comes to backpacking sleeping bags, weight is a HUGE factor. A lifetime warranty for the original buyer is a great feature for your hard earned money. While some problems are from our neglect, they will still do what they can for you (with potential fees that would be reasonable). And I really like them being made in the USA, supporting our local economy. 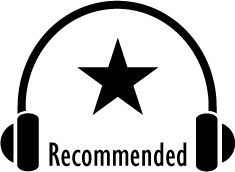 Their customer service was excellent as well, and very responsive! With an MSRP of $220 for the Enlightened Equipment RevelationX 20 Degree Wide version, I found that it is worth every penny. Based on its design, features, quality and performance, the Enlightened Equipment RevelationX 20 Degrees Wide has earned our Highly Recommended Award! They truly are enlightened! For more info and complete specs, check out their website at www.enlightenedequipment.com. You will be glad you did. 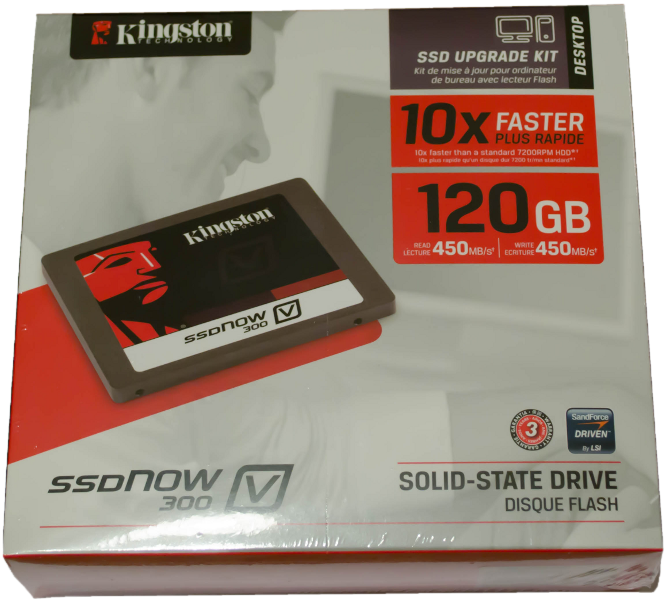 Today we're reviewing the SSDNow V300 drive from Kingston. You might be familiar with the SSDNow line. If you are, great. 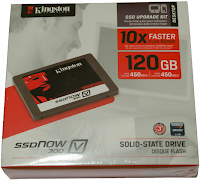 If not, SSDNow is the line for consumer, business and enterprise SSD's from Kingston. This particular drive spans the consumer and the business market. Its primary target is to be an affordable SSD, but what's unique about this drive is not only its price point but its speed. The box clearly states 450MB/s read and write speeds. If they can pull that off and hit an attractive price point for your average consumer (not just the enthusiasts) then Kingston will have a gem on their hands.